Temperature the month of May is characterized by rapidly rising daily high temperatures, with daily highs increasing from 70°F to 79°F over the course of the month, exceeding 88°F or dropping below 59°F only one day in ten. 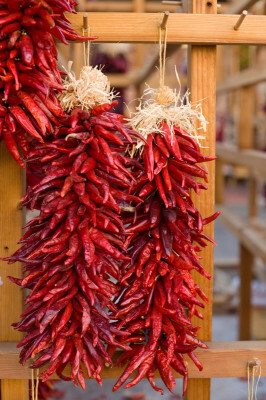 Join us as we seek out unique southwestern themes in the Santa Fe and Taos area to photograph. 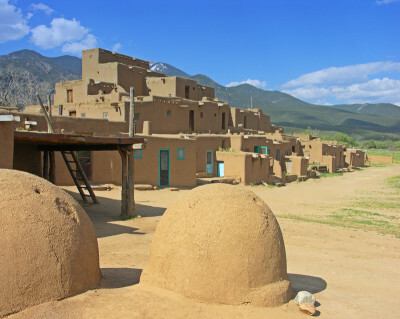 We plan to visit the famous Taos Pueblo with it's iconic adobe homes that have been inhabited for more than 100 years. 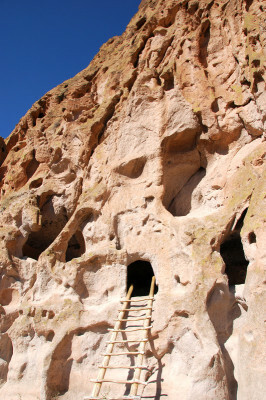 We will go to the fascinating Anasazi cliff dwellings and ruins at Bandolier National Monument. Then we will explore O'Keeffe Country with lots of great, colorful photo spots like Chama River overlook, Echo Amphitheater and the famous Ghost Ranch made famous in movies and Georgia O'Keefe's artwork. 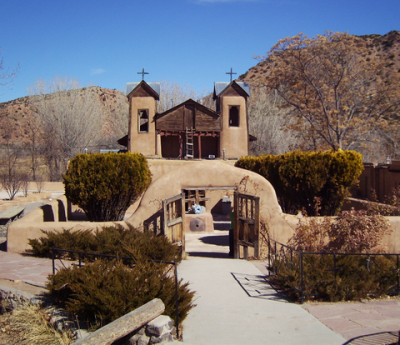 We will visit a preserved historic Spanish adobe church and also go to the colorful Santa Fe Indian market full of pottery, weaving, paintings, jewelry and more. 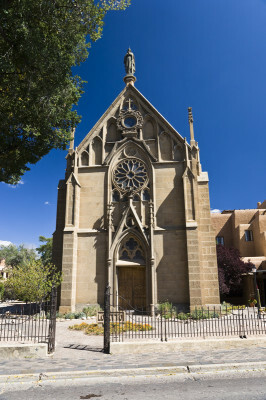 There will be time to take photos at other famous downtown attractions as well such as the Palace of the Governors and the historic Loretto Chapel with the "mysterious" staircase! You are sure to come away with some fabulous images. 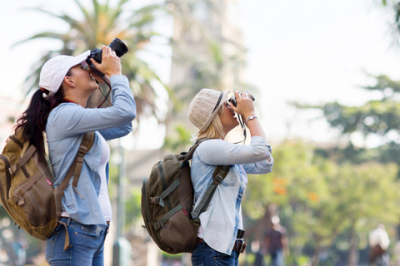 No experience required but preferably be familiar with your camera. Non-photographers are also welcome if they want to just tour with us and understand that we will be stopping a lot and staying a bit longer so we can find and take good photos. No experience required. We may also have a group viewing to share and discuss our favorite photos and learn from each other. People love these! 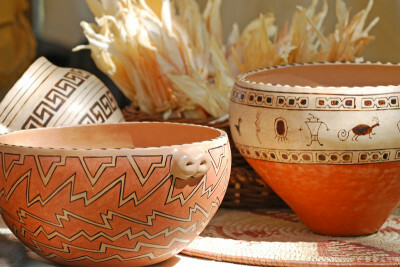 Snacks, water, and picnic or cafe lunch for the Taos Tour, Bandolier Tour and Ghost Ranch day tours. Not Included: Transportation to the meetup hotel in Santa Fe, meals and drinks not mentioned above, gratuities and any extras you get at the hotel. Any commercial photographers fees that may be required of photographers who want to sell their images. Trip requires a minimum of 7 guests to run. ​Pay your deposit here. Balance due 45 days prior to trip. What’s more, if your spouse or a guest would like to join you and share your room, he or she can do so for a special reduced rate of $1000. Use the drop down menu on the PayPal button to add a spouse/guest discount and your reserve spots. Use any credit card to pay securely with Pay Pal. By paying deposit you are agreeing to all terms and conditions on this page. By sending deposit you are agreeing to all TERMS and CONDITIONS see here. Please review your information for accuracy. You will not be able to make changes once you submit your order. Rates subject to change without prior notice. By sending a deposit you are agreeing to all Terms and Conditions see here. Click 'Add To Cart' only once. Your order may take a few seconds to process.